14oz Ceramic Latte Mug is rated 0.00 out of 5 based on 0 ratings. 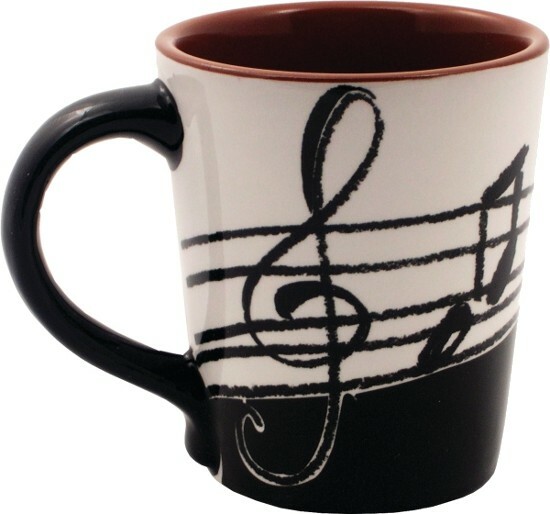 Enjoy your favorite beverage in this 14oz ceramic Music Note Latte Mug. These notes will never fade as they are baked in. The inside of the mug is a deep cocoa color which perfectly offsets the outside colors. A perfect gift for those who love music and that early morning drink. 4" tall, top is 3.5" across.